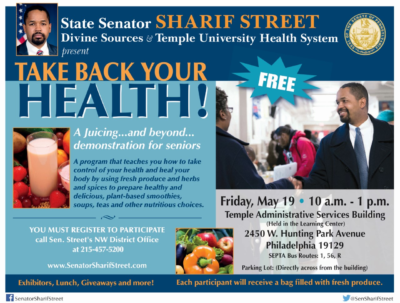 PHILADELPHIA, May 4, 2017 − Senator Sharif Street will host a Take Back Your Health event on Friday, May 19 from 10 a.m. to 1 p.m. at the Temple Administrative Services Building in the Learning Center located at 2450 W. Hunting Park Avenue. “Good physical health is vital to the long term viability of any community. 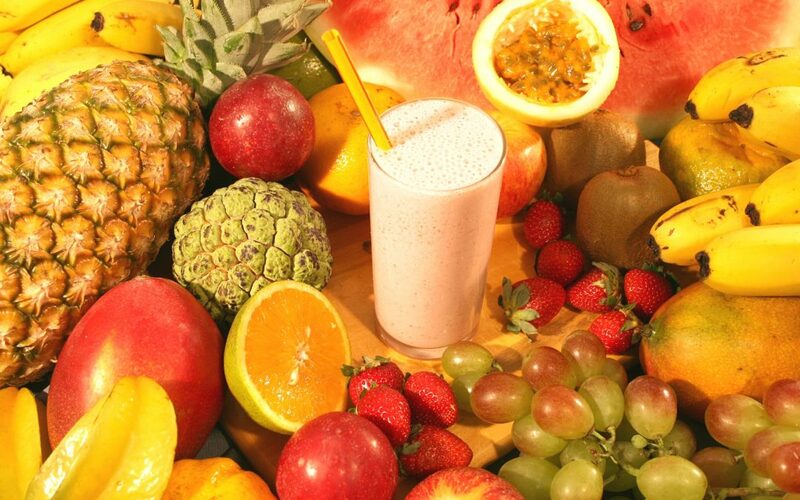 Access to healthy produce is as important as the knowledge of how to live a healthy lifestyle. The event is conveniently located along SEPTA Bus Routes: 1, R, and the 56. Any seniors interested in participating must register by calling the District Offices: 215-227-6161 or 215-457-5200.